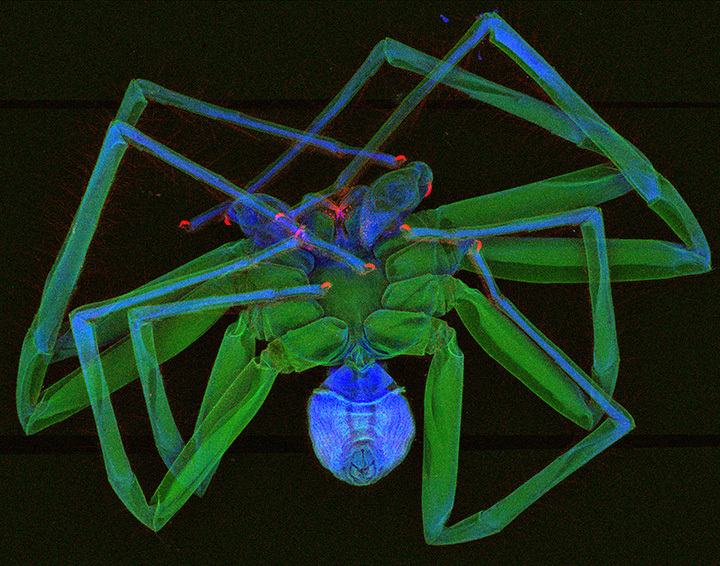 Have you ever wondered what elements make up a spider's body? Scroll down or use these links to see. Huntsman Spiders have probably been responsible for more shrieks of terror than any other spider in Australia. They are big, fast and when disturbed will run up your arm, over your neck, down your shirt or over your face. It can be an unsettling experience. Even the most experienced arachnologists have been known to yelp when it happens. 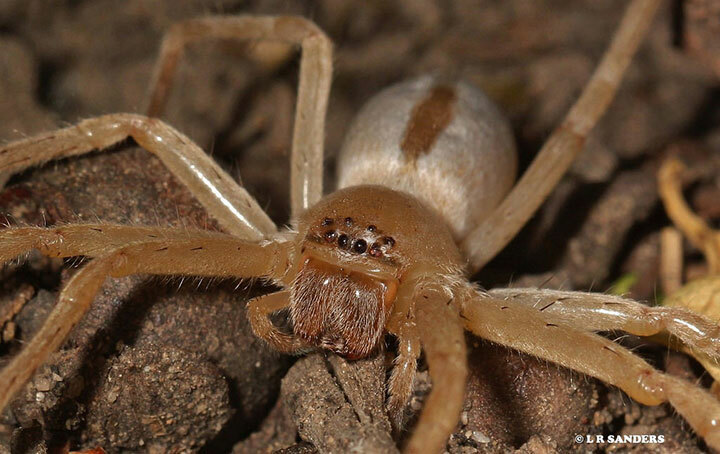 Huntsman Spiders in Laos can have a leg span of up to 300 mm. 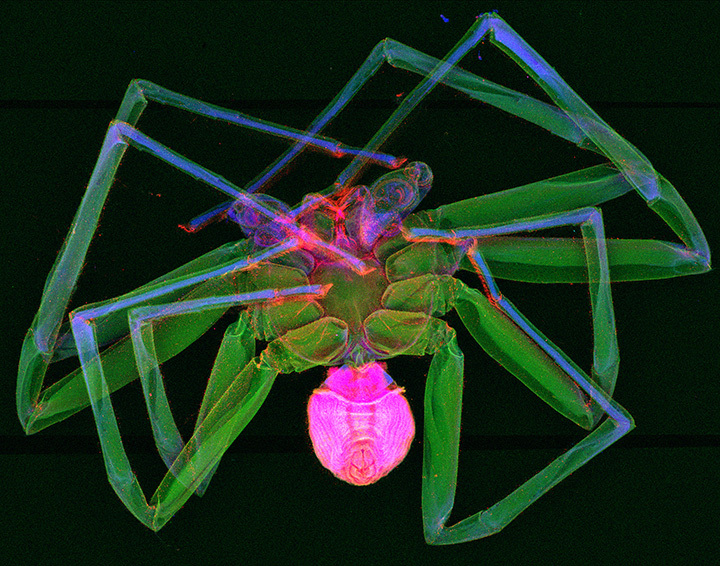 The first two pairs of legs are usually the longest. 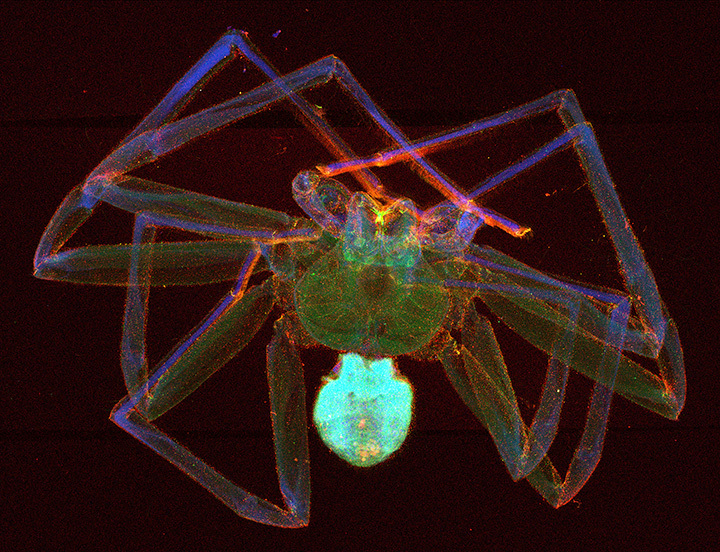 The legs tend to go sideways from the body and because of this crab-like arrangement the direction they run in can be unpredictable. Because Huntsman Spiders are big, they are capable of inflicting bites if trapped or provoked, but they would usually rather run away. The medical effects of bites are minor. The greatest danger is when people panic, especially when driving. If you can possibly manage it, try to remain calm, find somewhere safe to stop and take a break. The spider will soon go away. It doesn't like being out in the open during the day. Sparassids have eight eyes in two more or less straight rows, the largest usually the outermost on the front row. The carapace is oval and flattened, squared off at the front in the eye region. They have long legs ending with two claws and dense tufts of hairs. In nature they are mostly found under bark, sometimes dozens or more under bark on dead trees. Some live in rock crevices. In houses they find places to breed under or behind objects or surfaces protecting them from light. 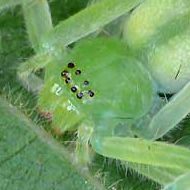 Females make a roughly circular egg sac. They can be small but most are large, the largest over 40 mm in body length. Huntsman Spiders are found mostly in warmer places and are very common in northern Australia. They are easy to find at night by eye shine. Courtship may involve drumming, with rhythmic vibrations attracting females. Delena cancerides spread from Australia to New Zealand and is now known there as the Avondale spider, being common in the suburb of Avondale, Auckland. 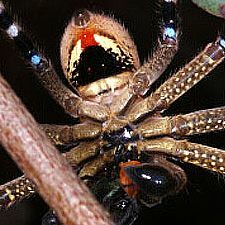 This was the species used in the beginning of the movie Spider-Man and in Arachnophobia. It is not dangerous. 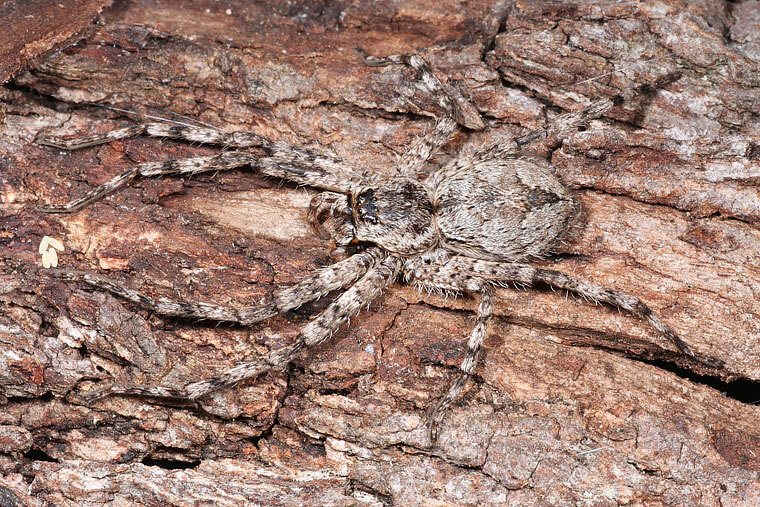 It is also called the Social Huntsman Spider, often found under loose bark in colonies of up to 300 individuals. The Latin cancerides means crab-like, referring to the spider's capacity for sideways movement. Neosparassus spp. are medium to large Huntsman Spiders, not as flattened as many others. 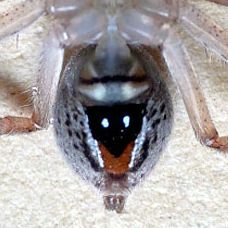 They have vivid badges on the underneath of the abdomen, hence the common name Badge Huntsman Spiders. Many are green when juvenile, some retaining green colouration when adult. These were previously known as Olios. Heteropoda is currently the most diverse sparassid genus with over 40 species, mostly in tropical to subtropical areas. The Mountain Huntsman has been found in most habitats in southern Victoria, sharing them with the Victorian Huntsman Isopedella victorialis. Image by Dr. Daryl Howard from the Australian Synchrotron in Melbourne. Manganese in red, potassium in green and copper in blue. Thanks Daryl.